SPECTACULAR VIEW HOME! 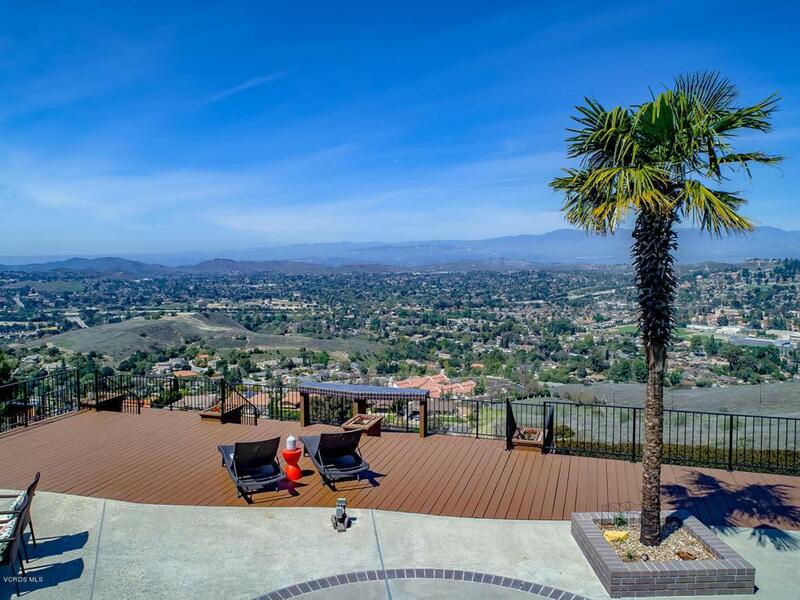 Enter this two-level home and the first thing you'll see is a panoramic view of the Conejo Valley. 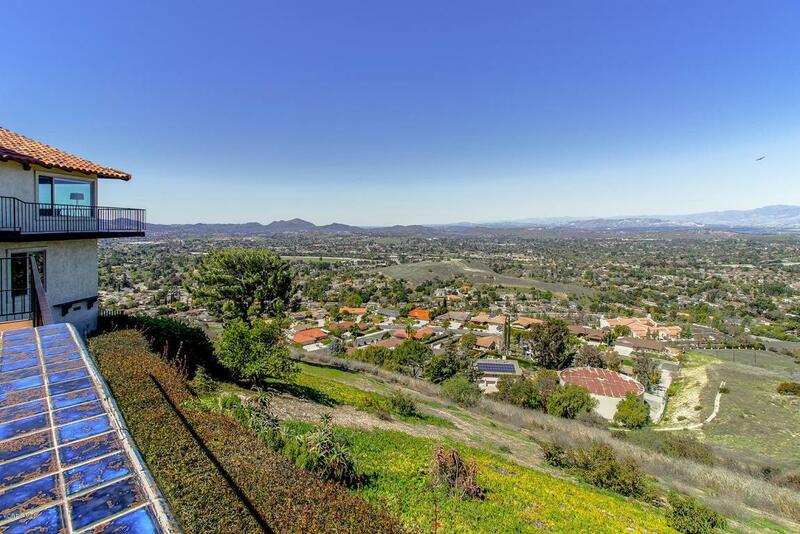 This one-of-a-kind home with picture windows throughout and multiple sliding doors was built to take advantage of its location high above Thousand Oaks. The view from the kitchen sink will have you fighting to see who gets to do the dishes! The upgraded eat-in kitchen features stainless steel appliances, including a five-burner Thermidor cooktop, double oven, granite countertops from Brazil, tumbled travertine flooring and a built-in sound system. Main level also features a master suite and a guest bedroom with full bathroom, indoor laundry room and formal living and dining rooms. No need to hang artwork in the family room -- picture windows on all sides with Hunter Douglas automatic shades take advantage of the ever changing landscape. Downstairs features a three-room suite and full bathroom. 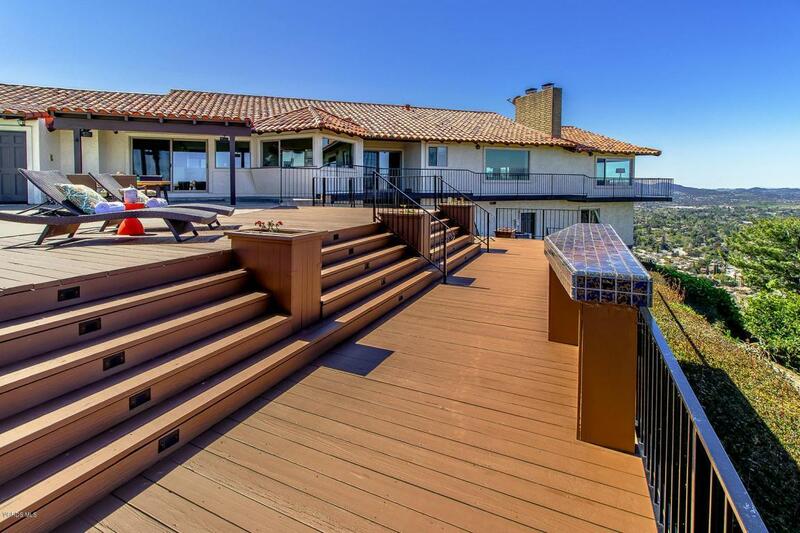 Multiple sliding doors open to a wrap-around deck and a built-in pool and spa, making this an entertainer's dream. An outdoor shower is located next to three changing rooms. A separate gated area off the driveway is perfect as a dog run or children's play area. On a clear day you can see forever, or at least as far as the Pacific Ocean! Sold by Soheil Ahadi BRE#01469384 of Stanford Raffles Realty, Inc.. 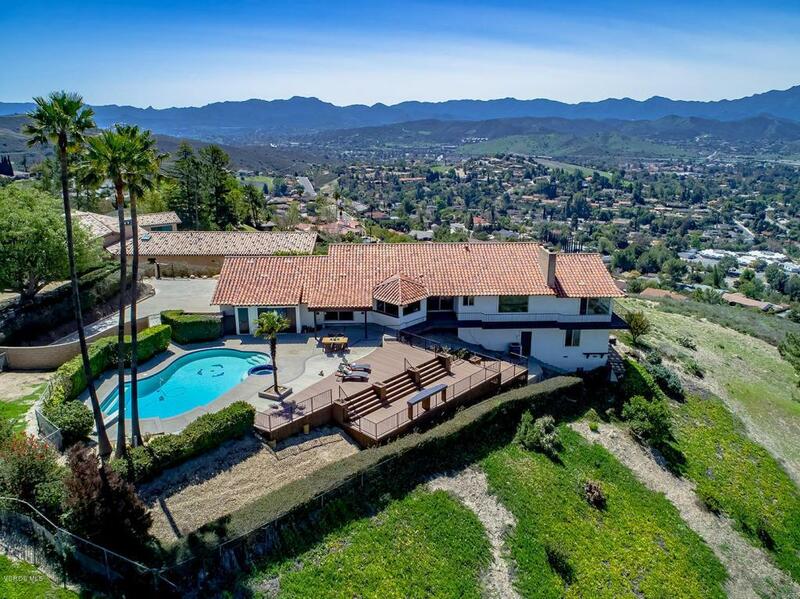 Listing provided courtesy of Unknown Harlan Team DRE#01469384 of Keller Williams Westlake Village.